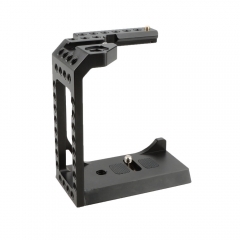 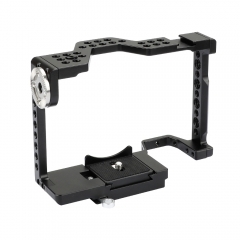 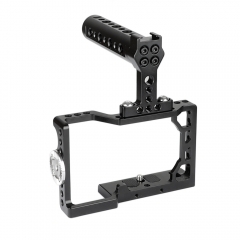 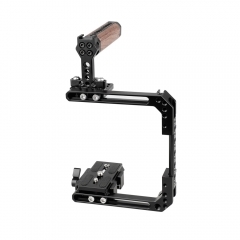 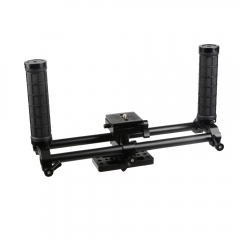 • Application -- For Sony A7 series, this C-frame cage is designed to provide a protective armor and also a mounting platform. 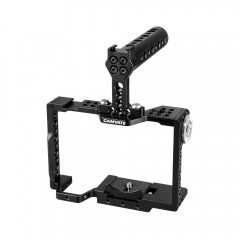 • Rod System -- It comes with two 15mm Rods, there are a follow focus and battery plate with a power supply splitter attached onto the rods. 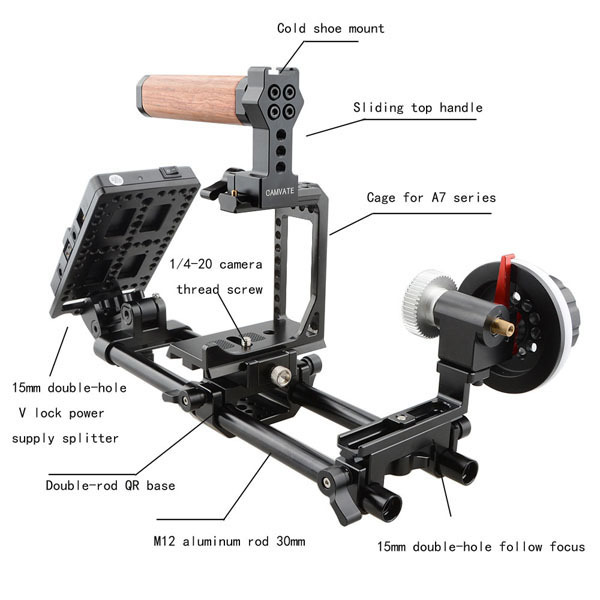 • Top Handle -- This QR wooden handle is detachable, movable, thread-off proof and hand-tight, with a cold shoe mount and some 1/4"-20 thread holes. 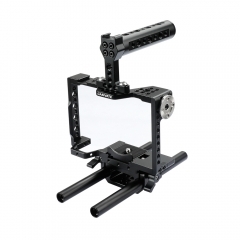 • This camera cage is compatible mainly with Sony A7 series: Sony A7s, A7RII, A7s2, A7sII, A7r3, A73, and Sony A9. 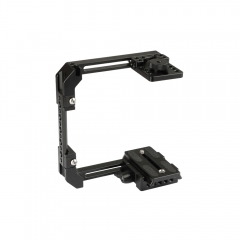 1 x Battery Plate With V-lock Power Supply Splitter .